SanRa is a Lemurian High Priestess and is part of the Lemurian Priestess Circle of 13. 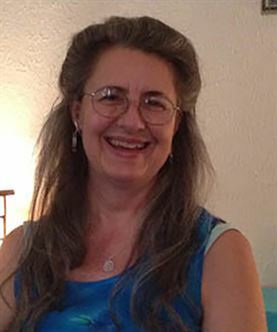 She offers channeled group and individual sessions with this Lemurian Priestess Circle. She is a member of the Grand Teton Guiding Council, a cosmic council which guides earth and humanity on their evolutionary paths. SanRa has recently stepped into her role as Lady of Betelguese, and is taking her initiations as a Star Lord Master and Cosmic Guardian. She is also a Certified Hypnotherapist and has been doing spiritual healing work with clients for 30 years. SanRa works with Star Beings, Ascended Masters, Angels and Councils of Light throughout the cosmos. She is dedicated to helping us move forward on our spiritual paths and re-establishing paradise on earth in our new Golden Age.